The VESTA Strive range is the ideal compact and stylish bag for a small DSLR or CSC (Compact System Camera) with medium lens attached, 2-3 additional lenses, flash, accessories, a tablet, a table tripod and personal essentials such as wallet, phone, water bottle. Available in a range of sizes to suit your needs: 12Z, 15Z, 15, 22, 30 and 40. Prices start from £19.99 and the VS40 at £59.99. The 12Z and 15Z will snuggly fit a DSLR with up to medium lens attached, plus key essentials in two flexible side pockets and internal card holder. Its stylish “pinch” design will perfectly match the camera’s format, while offering two carrying options; slung over your shoulder or flung into your everyday bag alongside all your other essentials. In this latest review I review the Vesta Strive range which features a weatherproof minimalist design. The range covers a wide spectrum of sizes from the small inserts of the 12Z, 15Z and 15 which are suitable for use on their own or inside another rucksack. The range is aimed at the lower end of the market, ideal for amateurs and enthusiasts over professionals as they are designed to fit one body and a few lenses inside and in the 12 and 15Z bags only a body and a zoom lens. The larger 22 and 30 are better suited as a carry/over the shoulder bag but can also be used inside larger packs. The Vesta Strive 40 is the only daypack/rucksack of the range. In addition, the 30 and 40 are the only two to be digitally orientated and can carry a small tablet so for a simple bag the range covers most needs minus those carrying a laptop or anything larger, but this isn’t what the bag is about and certainly at the cost to market it shouldn’t be expected. Both the Vesta 30 and 40 bags I could fit two bodies inside and a couple of lenses. The 30 was a little tight for this but the 40 really stood out in the range with the open back design and space in the top of the pack to fit extras. The whole range is styled to be ‘Incognito’, so you wouldn’t know they are camera bags which from first glance you wouldn’t know. Personally, I really like the design of the exterior with the simple design, when you compare it to the Alta bags it’s in similar design to the Alta Rise which doesn’t scream camera bag on first appearance. Unlike the Alta bags this Vesta Strive range has a weatherproof exterior which having taken away to North Wales and put them to the extremes all of my kit was dry and safe and no leaks or issues with the zips or base of the pack despite sitting on the wet ground. This exterior design also is very helpful to keep the bags clean and keep that nice black minimalist look. Each bag has side pouches which are elasticated to allow some give for contents inside. The smaller 15Z struggled to fit a bottle larger than 350ml so was more useful for holding a waterproof cover for the camera, lens caps or filters when not in use. The larger 30 and 40 comfortably fitted a 1litre bottle and the fabric on the pockets didn’t feel weak or as if it were going to snap due to the size. None of the pockets can hold a tripod, even the Veo2 is to large, however in the New Year the new Vesta table tripod will be coming out which will suit this range perfectly. For ease of use I found the Vesta 30 the best and even fully loaded with two bodies (OM-D EM-5mkII and OM1) and several lens the bag didn’t feel heavy on one side which for a shoulder bag is needed certainly on long distances and periods of use. I took the 30 out several times for long Autumn walks in the Chiltern hills and found it very comfortable on one shoulder and the strap had plenty of give to go over thicker jackets when it was colder. As with the 15Z, the 30 was great for quick access on the go and you could swing the bag around and access your kit on the go without the need to put the bag down. The larger 40 rucksack does need putting on the floor to access but the top lid can be easily accessed when on the go. You could customise the 40 rucksack by removing the insert and just having a small rucksack which is a very nice feature to customise the bag in to just a small carry bag without the camera equipment inside. The Vesta 40 has a rear opening, so you have to lay the bag flat on the floor in order to access the door. It can be a little irritating to get in to the rear as the shoulder straps do cover the zipper and door somewhat. The door doesn’t open all the way either, as you look at the bottom of the bag and zippers. The door gives you plenty of access to get in and grab your contents and when you let go does cover the access again which if you are forgetful on the go and like leaving your bag open this bag won’t let you. During the heavy rain in North Wales this was ever important and often I left the bag unzipped so I could grab lens clothes or put kit away quickly and the door staying down like this prevented the inside of the bag and contents getting soaked! Just be mindful not to walk off without zipping up the rear door. The insert inside the Vesta Strive 40 is customisable as well so you can shape it to fit your kits needs. During my time with the bag I used an Olympus OM-D EM5mkII, 12-40mm, 40-150mm f/2.8 pro lens, Vivitar 28-80mm f/3.5 tele-macro with OM adapter, Olympus OM1 with 50mm f/1.4 attached plus spare batteries, filters and camera cover which all comfortable fit nice and snug inside giving me quick access to everything. Often, I left the OM1 in the top lid with a power bank, food, notebook and a fleece rolled up. However, with the fleece inside it was at its maximum capacity but was possible. At full load the pack felt comfortable on the shoulders and sat nicely in the centre of my back. I could happily run up Snowdon or Pen yr Ole Wen when up in North Wales and didn’t have to worry about kit shaking or getting broken as the inserts have plenty of padding and movement. The straps on the shoulders are simple and have enough padding on but any kit heavier might not work so well. This pack wouldn’t fit the likes of a flagship DSLR but you could most certainly fit smaller systems like a Fujifilm XT-3 or Sony A7III but what lens might be up for debate. Don’t expect to fit a 70-200mm f/2.8 inside the provided insert but perhaps a camera wrap and emptying the contents of the bag you could fit more. Both the 30 and 40 bags could be used on a tripod to help weigh down the structure which only helped a little but enough to make a difference with the M4/3 system. The biggest benefit I found was the quick access and found this refreshing coming from a rucksack style for a fits all situation in the outdoors. As I mentioned previously the bags cannot take any tripods nor have the external means to loop one on which is why I’m pleased Vanguard tripods come with a carry sling for both the Veo and Alta Pro tripods. Of course, the easiest of the bags to use this set up is the 15Z and 30 with one arm taking the bag and the other the tripod. The 40 rucksack was possible but the tripod sling had to sit on one shoulder not over the head, coming across the body so often I opted to just carry the larger Alta Pro tripod. In our recent week up to North Wales the weather was miserable, nothing but rain and heavy winds all but one day. Now the Vesta Strive range features a new weatherproof exterior which works incredibly well and I pushed the Vesta Strive 40 passed its suited usage and the bag and contents inside remained dry. I took the 40 bag up on Snowdon via the Pyg and Crib Goch route in the midst of a heavy rain shower and strong winds, for a bag that costs £60 I was shocked by how well made and sealed it was including the zips which are typically the weak point on any bag. I’ve used bags triple the price of this and they’ve failed in better conditions. This was the same across the three bags including the smallest 15Z which got a good soaking exposed on the slate quarries around Llanberis. 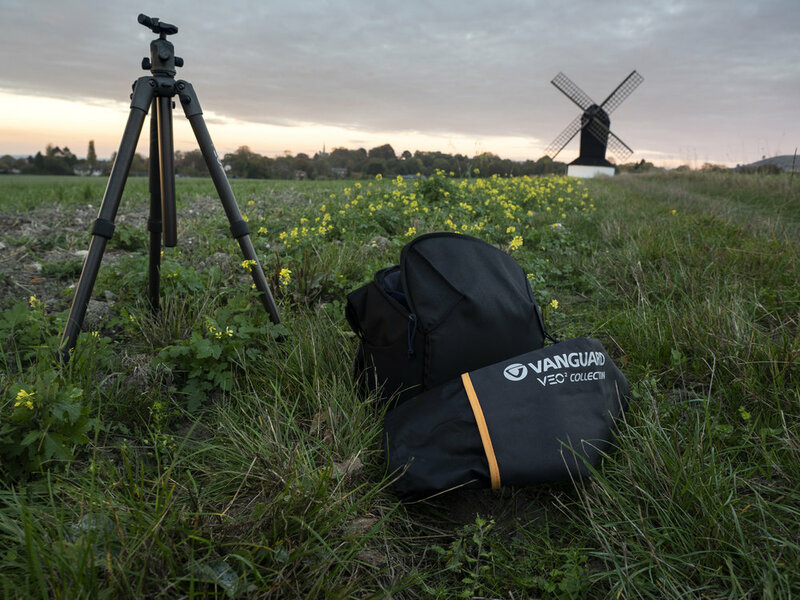 Often the lower market bags can be over-looked by the pros and serious enthusiasts, but Vanguard are here to show that low cost doesn’t mean compromise to quality. The Vesta Strive range is a strong range which I highly recommend to anyone looking for a small, comfortable, cheap and reliable bag for photographic needs. Yes, they lack the space to carry tripods or laptops but these bags are for staying light and simple with entry/crop/mirrorless set ups. The Vesta Strive 15Z is a handy pack for the one lens fits all job which I have often continued to use for macro or carrying my film camera. The 30 was my favourite with plenty of room for body, lens and extras and comfortably fit a water bottle in the side. 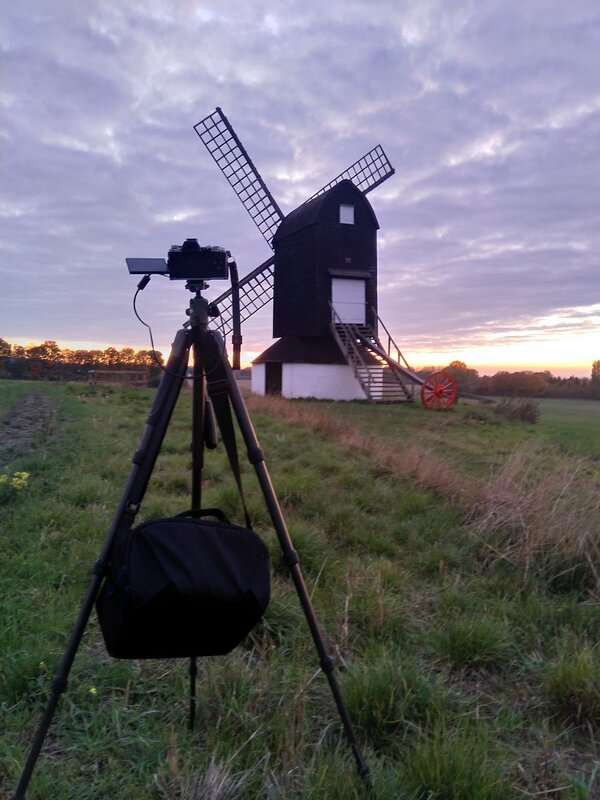 Using the tripods carry case over one shoulder and the 30 over the other shoulder I was evenly weighted and had access to my camera on the go and could leave the lid open for quicker access without worry of kit falling out. The Vesta Strive 40 I feel sorry for as I really did push this beyond its recommend point of use, but it stayed strong and dry! I can’t recommend this for climbing a mountain as you can’t carry as much safety kit and spares as one should be for this time of year but for where I went and the conditions, I was working in this £60 rucksack surpassed everything and surprised me with keeping up with this difficult terrain and conditions. The Vesta Strive 40 would certainly make a great lightweight option for day walks, daily photography and adapt the bag for everyday use by removing the inserts and the option for two door access in the rear or through the top makes it incredibly adaptable between a photographer’s daily needs. I for one hope Vanguard in the New Year will continue this look and design with more new features.